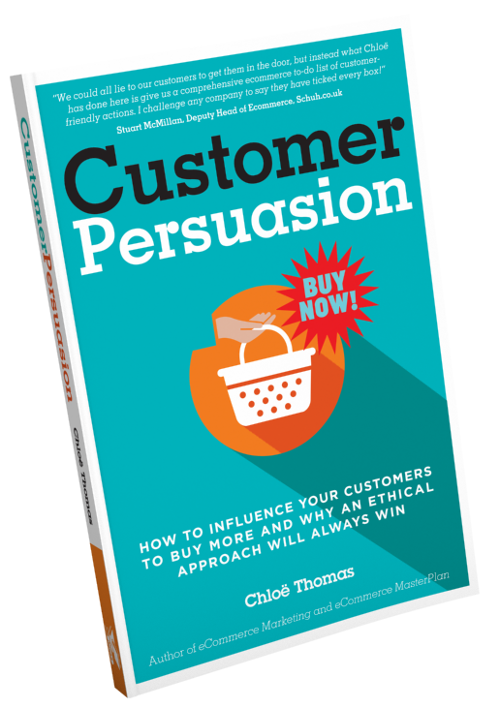 In Customer Persuasion Chloë Thomas introduces 2 critical concepts for online retail success in the twenty first century. The Customer MasterPlan explains how to maximise the growth of your business by understanding where you need to focus your effort and resources, and what to do to improve the performance of each of the 5 stages. The ultimate end point being a tribe of regular customers you can rely on to order again and again and again – as well as encourage others to start buying from you. The Conversation is the ongoing timeless dialogue your business has with each of its customers, the thread that holds the relationships together. Done well The Conversation can make your marketing much easier, increase conversion rates, and speed up the frequency of purchase. These two concepts together create a straightforward way to put the customer at the heart of any business. The successful businesses of the future will be the ones who best understand their customer, and give them what they need. This book will show you just how to do that – with clear guidance for you whether you’re just starting out or are marketing a business that’s been around for decades. “Chloë has once again done what she does best and distilled the knowledge of professionals into a MasterPlan guide that a small business owner can not only understand but can implement to grow their business. You’ll find no complicated jargon in Customer Manipulation 101, instead Chloë walks you through the customer journey step by step from the initial step of attracting the right visitors to your website stage by stage to converting them into repeat customers. Throughout the book you’ll find real life examples to illustrate the steps you need to take to turn your visitors into first time buyers, then into repeat buyers and finally into regular customers. 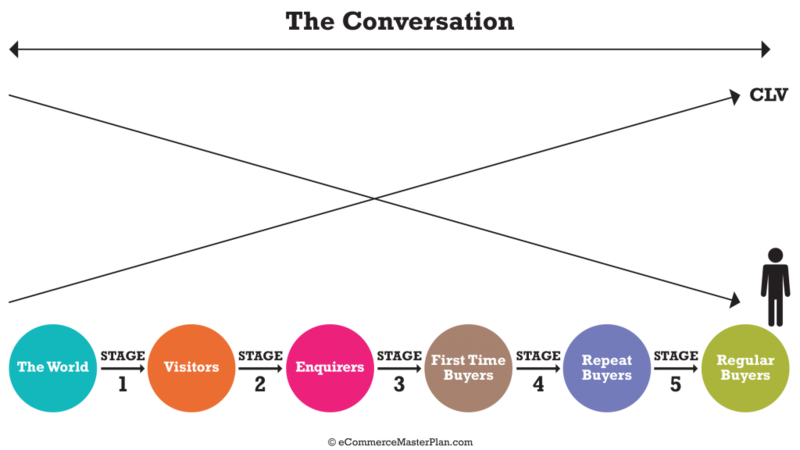 The Customer MasterPlan Model is at the heart of Customer Persuasion: How to Influence Your Customers to Buy More and Why an Ethical Approach will Always Win. It is eCommerce and sales reduced to 6 circles and a handful of arrows. To be successful you need to persuade your customers to move from the left hand side to the right hand side, as quickly as possible. “The World” is everyone in the whole world! 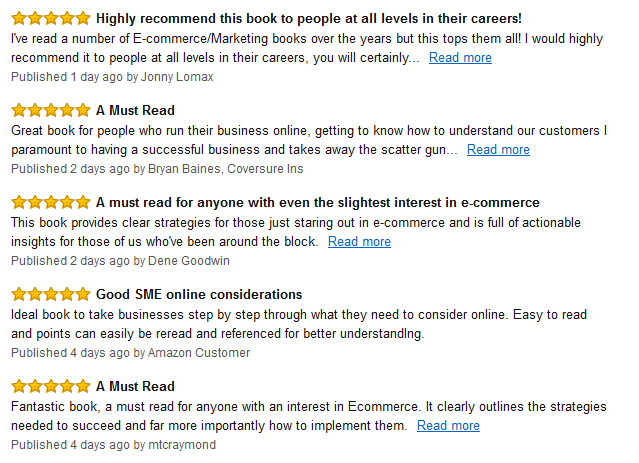 Stage 5 – what can we learn from these great customers to make the whole business better? The Conversation Arrow – this is how you supercharge the model. The Conversation is all about how you need to be consistent with your messages and actions. If the customer receives a consistent experience they will move much faster from the left to the right. That is the Customer MasterPlan Model – if you want to understand more about it and get it working in your business – then get hold of a copy of the book!